Medieval daggers for re-enactment, stage productions and display. 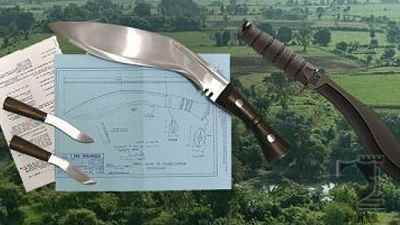 The functional daggers offered at Reliks.com are �Real Daggers� with hand forged high carbon steel blades. 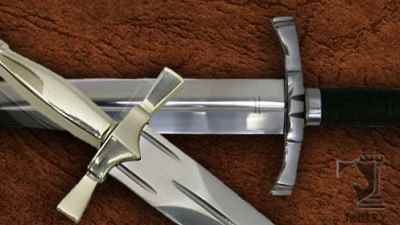 These functional daggers are perfect for medieval re-enactments. 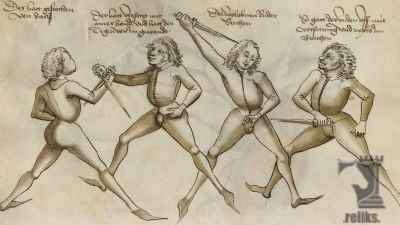 These daggers are constructed to handle the �battle ready� abuse of re-enactment, stage and production duels and are finely crafted to be suitable at the medieval dinner table to carve the roast beast, during a medieval feast. 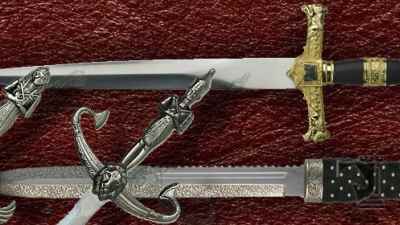 We also carry a variety of decorative daggers that make great collector display pieces. 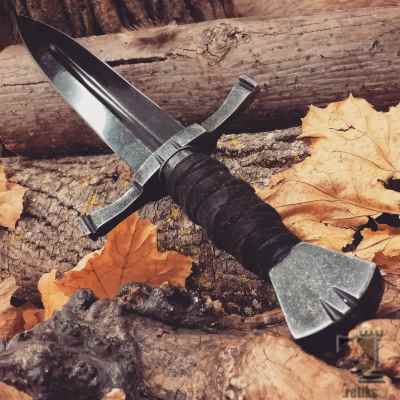 "The Crecy War Dagger is a no nonsense double edge dagger well-suited to facing armored or unarmored adversaries.." (6) New images were added to the (Crecy War Dagger) gallery today. 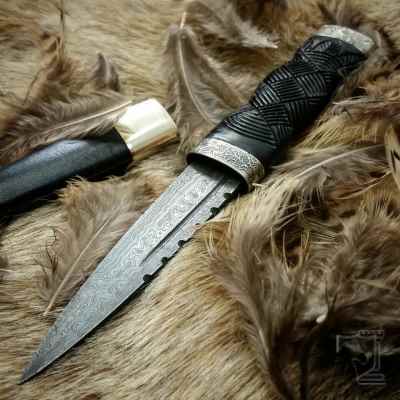 A new image was added to the (Damascus Sgian Dubh) gallery. "Beautiful damascus work done on this high carbon hand forged Scottish knife." 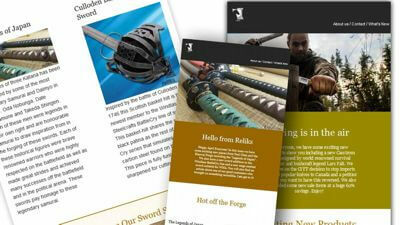 Get the Free Reliks monthly newsletter to stay informed about some of the newest daggers and swords available as well as gain access to exclusive offers and promotions.